A mid-range video camera with several features found on higher end products, the HXR-MC2000N is definitely one of Sony’s most prided flagship models. 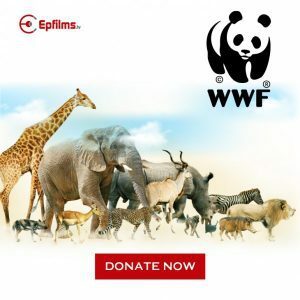 It’s geared for use both by rising videography enthusiasts and established professional videographers. It’s high definition, has superb image stabilization technology and is equipped with the all-popular Exmor R CMOS Sensor. But is it the video camera you are looking for? That’s what we’ll find out in this Sony HXR-MC2000 review. With its Exmor R CMOS 4.2Mp Optical Sensor, the Sony MC2000N is able to shoot surroundings with impressive image quality. 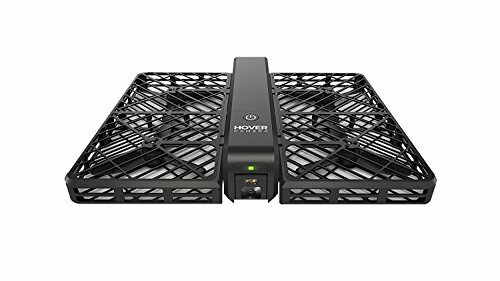 Its full-raster HD 1080i recording capacity is what makes it ideal for shooting corporate events, weddings, sports and even budgeted videography works. 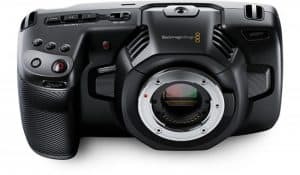 Plus, with its Optical SteadyShot Image Stabilization and its Active Mode SteadyShot, shooting in highly dynamic environments becomes quite the easy job. 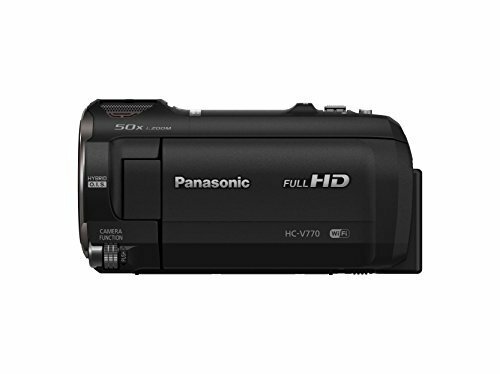 The shake reduction capability of this video camera is one that outshines all others, earning it a lot of positive Sony HXR-MC2000 reviews. The lens system of this video camera is one that also shouldn’t be shrugged off. 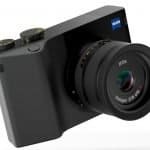 While other cameras only come with 10x zoom lens, Sony has taken a leap with the MC2000N by equipping it with a 12x 34.8mm f/1.8-3.4 zoom lens. 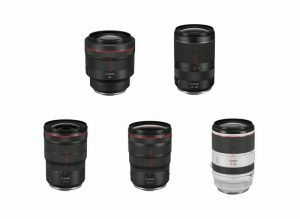 Its focus adjustment can be set either automatically or manually but its zoom adjustment is restricted to manual setting only. Another prime quality worth mentioning about the MC2000N is its seemingly infinite storage capacity. 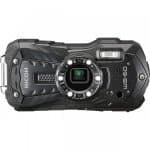 The camera comes with a built-in memory card slot, into which SD/SDHC/SDXC optional memory cards or an optional Sony MemoryStick Duo card can be inserted for extra storage. If you are planning to shoot long videos such as documentaries or event coverage, the MC2000N is also a camera that will not let you down. It has a built-in 64GB solid state hard disk drive that can be used for recording up to six hours worth of HD videos in the FX or 24Mbps mode. Now you wouldn’t need to worry about your shots getting cut off due to insufficient memory! The Sony HXR-MC2000N also features assignable lens rings that allow precise manual control for its focus, white balance, exposure, shutter speed and iris adjustments. The camera’s CMOS optics helps ensure accurate focus modes and precise exposure for these adjustments. 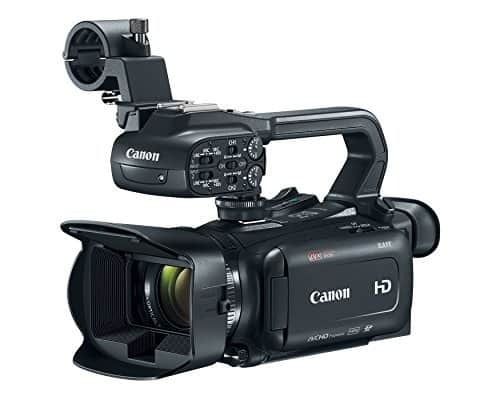 This camcorder can record high definition videos onto its integrated 64GB memory in DVD MPEG2 standard definition or AVCHD quality. It’s also very simple to use for file transferring with its USB 2.0. Direct transfers to a PC or a Mac for further editing are made easy with the MC2000N. 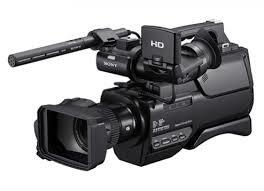 As mentioned in most other Sony HXR-MC2000N reviews, the MC2000N has been designed to come as a shoulder-mount AVCHD camcorder. Weighing around 6 pounds, it can be quite tiring to bring around hand-held for long periods. 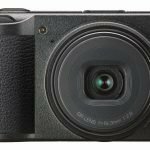 But it has the Photoplus touch screen LCD technology that makes it easy to toggle camera adjustments through the LCD display. Also, with its Active Steady Shot, camera swaying which is rampant when recording while walking can be corrected, making for a better video outcome. 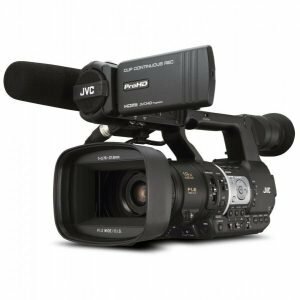 If you are looking for a professional-level camcorder you can use for demanding videography works, then the Sony HXR-MC2000N will be a great consideration for you. Priced somewhere around $1500, it can be much of an investment for rising videographers, but it is one that you will most certainly not regret going for. 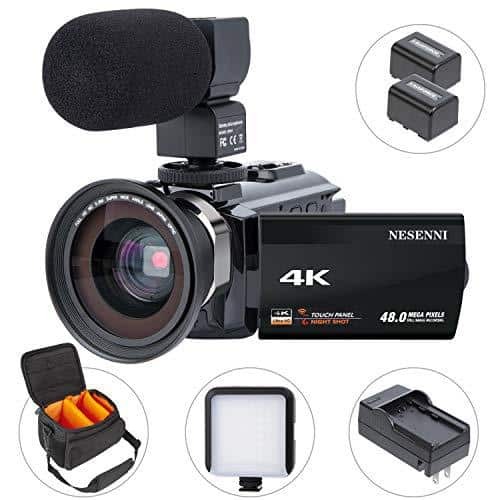 With a 12x zooming lens, wide angle Sony G lens technology, Exmor R CMOS sensor that offers superb low light sensitivity, and a quick AF system, the MC2000N is a must-have video camera for videography enthusiasts of any level and ability.